Ten 10-year-olds have celebrated the tenth birthday of the Climate Change Act. The group from St Peter’s Roman Catholic School in Billericay gathered outside Parliament to mark the tenth anniversary of the 2008 Act coming into law. 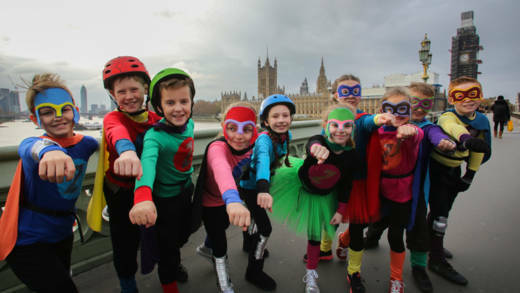 The children were wearing superhero costumes to call on MPs to be ‘Zero Heroes’ and push for a more ambitious target for tackling climate change. 26 November marks ten years since the Climate Change Act 2008 received royal assent – the last stage before a Bill becomes an Act of Parliament. “The children who took part in the campaign were so tiny or not even born when the Climate Change Act was passed. "In the next twelve years we have to solve the problem, as stated by the IPCC Report. In twelve years, the children who took part today will be finishing their university careers or going into the world of work. The Climate Change Act was the first of its kind in the world when it came into law in 2008. The statute set a requirement for the UK to cut emissions of greenhouse gases, meaning that they must be 80 per cent lower in 2050 than they were in 1990. But scientists in the decade since have found that these gases have to be reduced even further so that we reach what is called ‘net zero emissions’ before 2050 – meaning that we don’t put more carbon dioxide into the atmosphere than we take out of it. Carbon dioxide and other greenhouse gases are emitted into the atmosphere from burning fossil fuels such as oil, gas and coal. 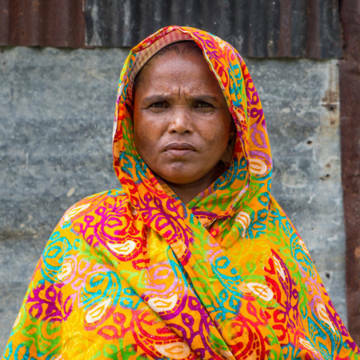 These gases are driving the climate change which is pushing people deeper into poverty, with increased droughts and famines threatening food and water supplies and more intense and frequent storms and floods. “It’s important to remember that the decisions we make now will have a huge impact on the future of the ten-year-olds who’ve been outside Parliament celebrating the most important piece of legislation passed in their lifetimes. “The UK must continue to show global climate leadership as we mark the tenth birthday of the Climate Change Act. It was a milestone on the journey to legally-binding action.